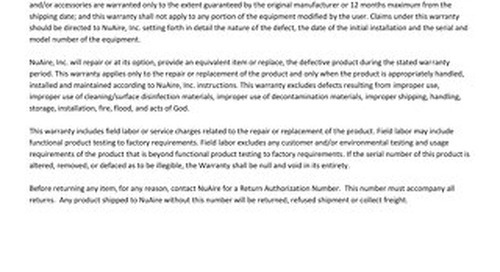 NuAire Lab Equipment offers the most comprehensive warranty on the market covering the In-VitroCell line of Direct Heat and Water Jacketed CO2 Incubators. 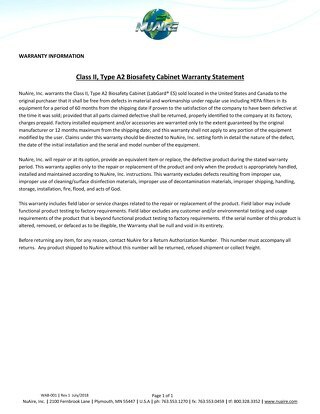 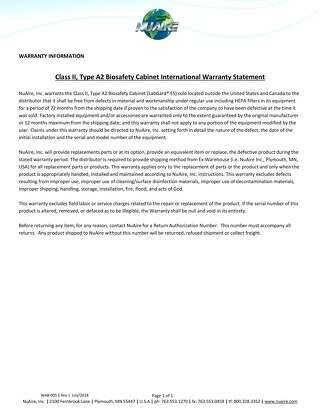 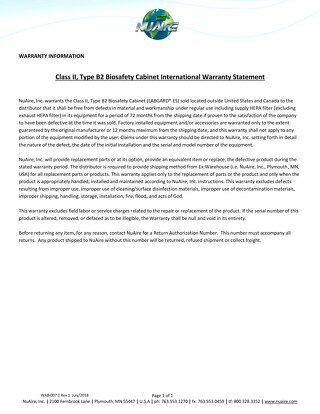 This warranty applies to newly acquired cell culture incubators in the United States and Canada. 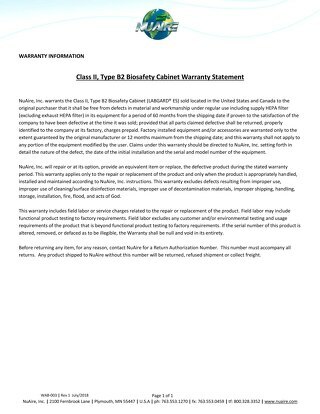 To learn more about your current warranty please contact us here.